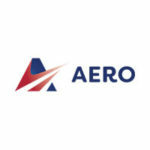 AERO (Alliance of Entrepreneur Resource Organizations), based in Tallahassee, is a coalition of public agencies and community non-profit organizations united to provide current and new businesses with resources to aid in their success. Startup Quest™ is a 10-week hands-on learning experience for unemployed and underemployed educated professionals. The program provides an introduction to the processes required to form a startup company and develop a commercialization strategy for innovative technologies. The most important ingredient of a successful Startup Quest™ training program is the mentor that works with each team. Mentors assist participants in the design and development of business plans around cutting-edge technologies. Mentors come from technology-based industries, such as software, information technology/information systems, aerospace, advanced materials and coatings, nanotechnology, robotics, medical devices, biotechnology, and life sciences. Selected mentors have experience in bringing a new technology to market, as this is fundamental to the program. 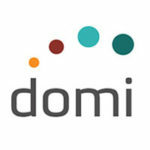 Domi is a non-profit startup incubator and co-working space with 125 active members. We offer programs, resources, and events that help entrepreneurs start and scale sustainable companies. Our regional network enables us to match our members to seasoned mentors, investors, and industry advisors. Domi’s incubators programs educate and empower early-stage entrepreneurs. The incubator is a non-cohort based, mentor-driven 4-month intensive program for early-stage technology companies. We invest in new technologies and the teams that lead them. Domi Ventures incubator is designed to accelerate the growth and success of early-stage companies through an array of business support resources and services, such as: physical space, capital, mentoring, networking connections, staffing and collaborative learning environment. 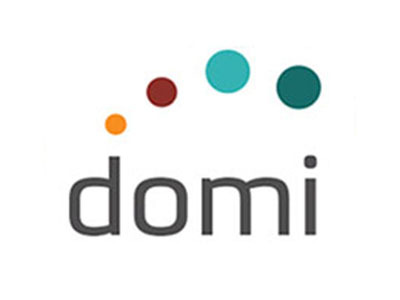 Domi also offers co-working spaces for a variety of startup business needs at competitive rates that range in benefits and services. 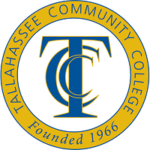 The Tallahassee Community College Center for Innovation is located at 300 West Pensacola Street, in the heart of Florida’s capital city, making it well-suited to host a wide assortment of events and programs. The meeting facilities, training rooms, and business suites are sure to meet the needs of any organization. For organizations who wish to conduct business in downtown Tallahassee, leasing a business suite at our Capitol Center is the smart choice. Each suite includes Computer, Phone, Covered Parking, Access to Receptionist, and Access to Conference Facilities (including video-conferencing capability). The TCC Capitol Center offers a variety of venues and customized setups for events. Our facilities are ideal for seminars, training, and banquets. Additionally, our professional staff is available to assist with your needs. The Kim B. Williams Advanced Manufacturing Training Center (AMTC) at TCC provides area industry with a one stop center focusing on customizing training and development needs. The AMTC at TCC recognizes the challenges facing companies in today’s manufacturing and industrial sector. Your primary partner is your workforce. Educating the existing and emerging workforces to be technically skilled as well as flexible to meet your demands builds a fundamentally strong team. By partnering with resources in your own backyard, you can compete in the world-wide market. The Division of Workforce Development Team is here to customize training to make your vision a reality. The Power Hour Lunch & Learn series has become a vital resource in providing the community with expert advice on topics that affect their bottom line while providing networking opportunities in a comfortable setting. 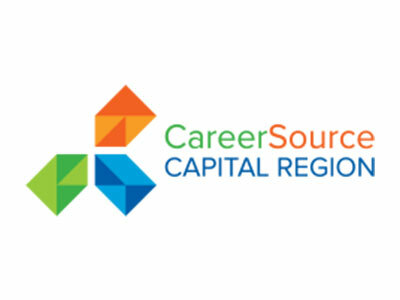 Attendees represent various industries and organizations including real estate, finance, communications, law, state and local government, non-profits, healthcare, staffing, manufacturing and more. The Tallahassee Chamber’s Lunch and Learn Series is a free monthly workshop conducted by local business experts, Chamber board members and associates of our Chamber partners. The workshops feature a wide variety of topics that are helpful for anyone involved with a business, from owners and managers to entry-level employees. This is a free event for Chamber members. Attendees bring their brown bag lunch. Held monthly (excluding July, August and December) attendees receive the technical assistance in customer service, communication, time management, leadership and more, all during their lunch break. Leadership Tallahassee is a year-long program that educates and encourages participants to actively seek positive and constructive changes in their community through leadership roles. Participants build a network of community trustees who enhance their problem-solving skills and leadership abilities through shared perspectives and working together. Qualified applicants must have demonstrated leadership capabilities in the public or private sector or show a motivation to contribute to the Tallahassee community. 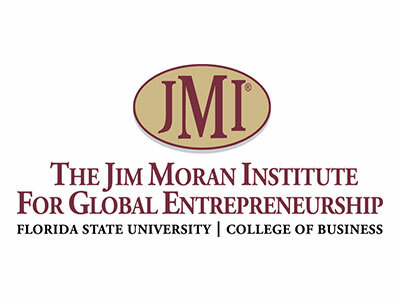 The Jim Moran Institute for Global Entrepreneurship created Advice Straight Up: An Expert Entrepreneur Speaker Series to provide business leaders, non-profit CEOs, and entrepreneurs access to nationally recognized speakers who can share their experiences in launching new ventures and building innovative businesses. These accomplished speakers not only demonstrate a genuine passion for entrepreneurship but will also share practical, valuable insight about surviving in today’s aggressive business marketplace. 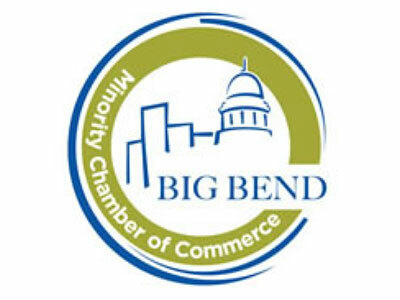 The Big Bend Minority Chamber of Commerce Women’s Business Council will be hosting a series of workshops in the fall open to all members. Visit the BBMC website for updates on exact date, times and locations for each workshop. The Annual Tallahassee Chamber Community Conference brings together all elements of the business community, from home-based entrepreneurs to key business and political leaders, to discuss real issues affecting our region’s future. With breakout sessions, networking opportunities and plenty of fun, this conference allows attendees to make connections that will last a lifetime. Always held out of town in a resort location, the weekend is a mix of business and pleasure for the whole family. Since 1985, Professional Women’s Forum has provided a lunchtime program featuring women leaders sharing advice for professional and personal growth. For the new fiscal year, the Chamber kicked-off an enhanced Professional Women’s Forum program titled “CEO Series.” The new Women’s Forum program features distinguished leaders from our community and region going beyond their bios to provide attendees with tools, strategies and takeaways for their own success, all in an informal, interactive setting. Whether you are starting, operating, or growing your business in the northwest Florida area, the Small Business Learning Center Library can help you find the information you need to be successful. Our business information services include access to our business library, comprehensive research, and reference library offering extensive online and print business tools and resources. Reference services include help and direction in collecting industry or market statistics needed for a business or marketing plan, researching specific market or industry trends and identifying competitors, suppliers or potential customers. 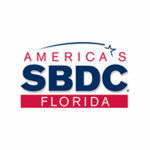 Gain the knowledge needed to make your business excel by attending FSBDC at Florida A&M University training workshops. Workshops are offered in specialized subjects for experienced entrepreneurs as well as in management basics for those considering starting businesses. Innovation Park’s Entrepreneurial Excellence Program provides valuable advice to early-stage start-up businesses and entrepreneurs as they navigate through the vulnerable stages of business development. 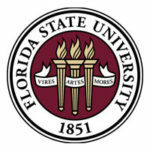 The Spark Entrepreneurship Initiative at Tallahassee Community College offers as one of its programs an Entrepreneurs’ Forum. The forum is an opportunity to network and share experiences with other entrepreneurs, startups, and small business owners. The topics for each forum are different as the idea is to cover a wide range of information valuable to the entrepreneurial community. The program is offered on the second Tuesday of each month at 6 pm at TCC’s Center for Innovation. 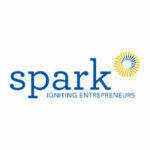 The Spark Entrepreneurship Initiative at Tallahassee Community College offers as one of its programs, the opportunity to be mentored. The program is called Startup / Small Business Mentoring and it is offered on the second Tuesday of each month at 6 pm at TCC’s Center for Innovation. People with just and idea can come in and get feedback about their idea or about a startup or an existing small business. Mentors are available to share information and help guide you to make a sound business decisions. The Leon County Research and Development Authority (LCRDA) TechGrant program was first launched in 2005 to demonstrate its commitment to supporting the entrepreneurial ecosystem in Leon County. Since 2005, 20 companies have benefitted from $362,000 in grants awarded for the commercialization of their technologies. Most of those companies are still flourishing in the local community today. In addition to a cash prize of up to $15,000, winners are awarded with scholarships to attend the Entrepreneurial Excellence Program and are granted exclusive access to the TechGrant Winners’ Circle, a quarterly gathering of past grant recipients that facilitates networking and collaboration. The LCRDA owns buildings in and manages Innovation Park, a research and development park, by an appointed Board of Governors. The Board is comprised of prominent academic, business, and community leaders who work together to facilitate the growth and development of research into high-tech businesses in Innovation Park. 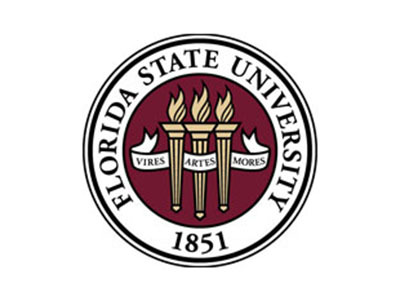 Its mission is to work in affiliation with Florida State University, Florida A&M University, and Tallahassee Community College to promote scientific research and development activities, and foster economic development and broaden the economic base of Leon County, Florida. On-the-job training allows businesses to recoup up to half of the wages paid to workers pre-approved by One-Stop Career Centers through on-the-job training for employment usually not available otherwise. Employers garner workers they have trained to their own specifications and employees are more likely to remain after training is complete. The Employed Worker Training grant program that reimburses selected businesses up to 50% of direct training costs related to providing skills upgrade training to their current employees, including new hires. Tallahassee Chamber Membership Briefings are typically held every two weeks at the Chamber to provide new members, businesses interested in joining the Chamber and new employees of existing members with a solid overview of our many benefits, services, programs and events. The goal is to assist members in creating a plan of involvement to help identify potential clients and increase their bottom line. Growth Acceleration Services are designed to deliver substantive professional business consulting to qualified small and medium-sized businesses in the Tallahassee area, as well as, Franklin, Gadsden, Liberty, Leon, Jefferson, Madison, Taylor and Wakulla counties. Growth Acceleration Services consultants commit to assist clients for 12 to 15 months, providing quality services across all industries, leveraging the expertise and research resources of the FSBDC at Florida A&M University. Growth Acceleration Services aims to develop sustainable growth strategies for small to medium-sized enterprises, including shoring up financial practices and financial institutional relationships, assessing and accessing capital, determining market diversification tactics, and developing strategic business plans. Growth Acceleration Services is designed to meet the client’s needs and objectives through an in-depth business assessment and on-going business consultation. Following an initial consultation, a dedicated Growth Acceleration Services consultant will work with the client for 12 to 15 months to implement both strategic and tactical plans. Experienced Business Experts: Growth Acceleration Services consultants are business professionals highly qualified in corporate marketing, management, consulting, and financing. Clients will benefit from consultants’ business experience and expertise. 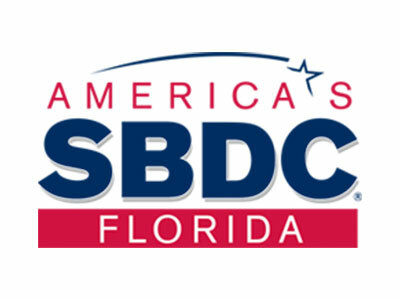 The FSBDC at Florida A&M University is staffed by Certified Business Consultants and provides entrepreneurs with business assistance and tools to aid in their business success. Our experienced consultants cover topics that include business planning, financial analysis, marketing, accounting, cash flow projections, and new business feasibility, to name a few. Our consultants have significant experience in the private sector, and many have extensive management and financial consulting backgrounds. Our FSBDC also uses qualified faculty, students and volunteers to enhance their consulting services. FSBDC consultants are highly regarded by clients for their business skills and expertise. Free consulting services at the FSBDC are available to individuals who have questions or need assistance in starting or growing their businesses. All potential FSBDC clients must fill out a “Request for Consulting” form. To help maximize the value of the consulting, clients should prepare a draft business plan before meeting with the consultants. Appointments are not necessary but are recommended to assure that sufficient time is allocated for each client. Please call 850-599-3407 to schedule your appointment. 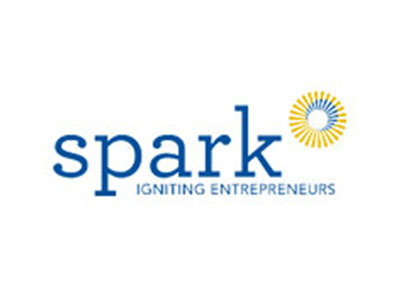 The TCC Spark Initiative is focused on fueling passionate entrepreneurs with the skills and connections needed to ignite an idea and grow a successful business. With its strong community support and integrated network of partnerships, Spark focuses on giving participants access to local entrepreneur-focused resources and successful business leaders. Those who participate have the opportunity to develop innovative business planning and management skills that spur economic vitality and steadfast success. 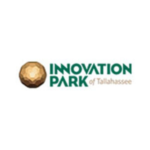 Innovation Park of Tallahassee hosts periodic TechTopics events where members of the research, engineering, and business community are brought together to discuss relevant related topics. 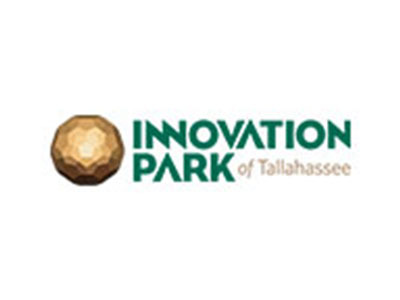 Innovation Park is focused on working with its higher education partners, FSU, FAMU, and TCC, to help to facilitate technology commercialization and job creation in Leon County. Recent topics have focused on the experiences of startup businesses, the entrepreneurial ecosystem of the community, and building a technology commercialization pipeline, and feature a different asset in Innovation Park, like the Florida Center for Advanced Aeropropulsion and the National High Magnetic Field Laboratory. Young professionals need a reason to stay in Tallahassee, and the Access program provides them with plenty. Since 2006, Access has been connecting and engaging emerging, young professionals in innovative and creative ways to help them build business relationships, develop personally and professionally and become part of the business community. Getting started is never easy, but Access provides the tools and camaraderie to make the transition just a little bit easier. The Tallahassee Chamber’s Business Nuts & Bolts is much more than early-morning networking. 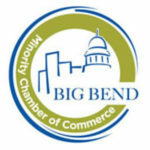 The program consistently provides dynamic speakers with presentations aimed at the heart of small-business success, a business card exchange and recognition for new member/first-time attendees, plus a great breakfast to start the day. The Tallahassee Chamber’s Leads Groups are comprised of local business people who share a simple belief – that they can be more successful together than on their own. Through leads, referrals, sharing of best practices and encouraging each other common experiences, each group builds a network of trust and confidence that helps its members thrive. 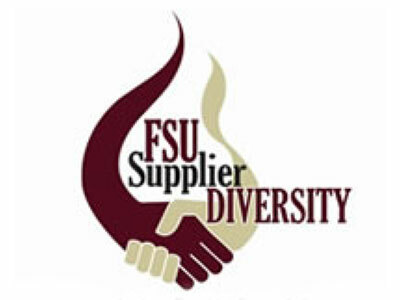 Florida State University salutes the organizers of three annual events, co-hosted by our Supplier Diversity Program. Participation in these events is our way of saying “Thank you!” for helping to broaden our base of suppliers to handle our purchasing and contracting needs. Each event provides excellent opportunities to not only network with other business owners but to also receive up-to-date insight on the latest issues affecting small businesses in North Florida. Additionally, local purchasing representatives (state, universities, city, county & school board) come together in one room to share how to do business with their agency and to note future contract opportunities that are available during one-on-one sessions. 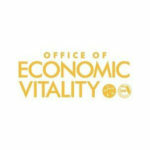 Post available position(s) on Employ Florida Marketplace at no cost. Let our HR Business Specialist assist in the pre-screening process; by helping you obtain suitable job seekers for employers to review based on hiring criteria. It is the ultimate goal of the university to have a diverse supplier base that provides the highest quality support services that are consistent with a world-class status the university seeks to achieve. 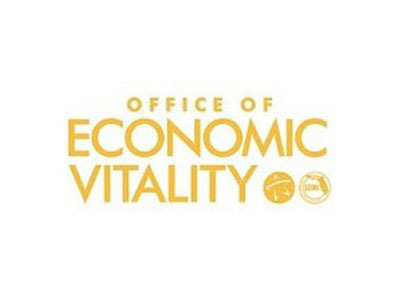 The purpose of the Minority, Women, & Small Business Enterprise (MW/SBE) Division is to effectively communicate Leon County procurement and contracting opportunities, to enhance business relationships, to end disparity and to increase participation opportunities for certified minority, women and small business enterprises in a competitive environment. We work to provide assistance to minority and women vendors interested becoming certified to do business with Leon County as a Minority-owned Business Enterprise (MBE) or Woman-Owned Business Enterprise (WBE). TallahasseeBusinessResources.com is a business resource listing website covering the Big Bend area focusing on private resources for start-up and small businesses. Tallahassee Business Resources goal is to help identify business providers by describing the clients best served by each resource – without requiring that you leave the site. These listings are free for both users and resource listings, and intended as a community resource. 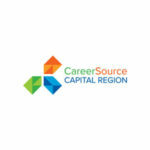 TallahasseeBusinessResources.com was originally started as a Knight Creative Communities Institute (KCCI) project. The Kim B. Williams Advanced Manufacturing Training Center (AMTC) at TCC provides area industry with a one-stop center focusing on customizing training and development needs. The AMTC at TCC recognizes the challenges facing companies in today’s manufacturing and industrial sector. Your primary partner is your workforce. Educating the existing and emerging workforces to be technically skilled as well as flexible to meet your demands builds a fundamentally strong team. By partnering with resources in your own backyard, you can compete in the worldwide market. The Division of Workforce Development Team is here to customize training to make your vision a reality. Since 1985, Professional Women’s Forum has provided a lunchtime program featuring women leaders sharing advice for professional and personal growth. For the new fiscal year, the Chamber kicked-off an enhanced Professional Women’s Forum program titled “CEO Series.” The new Women’s Forum program features distinguished leaders from our community and region going beyond their bios to provide attendees with tools, strategies, and takeaways for their own success, all in an informal, interactive setting. 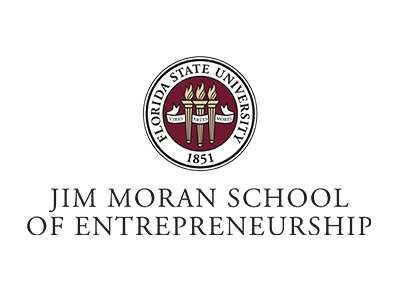 The Jim Moran Institute for Global Entrepreneurship created Advice Straight Up: An Expert Entrepreneur Speaker Series to provide business leaders, non-profit CEOs, and entrepreneurs access to nationally recognized speakers who can share their experiences in launching new ventures and building innovative businesses. These accomplished speakers not only demonstrate genuine passion for entrepreneurship, but will also share practical, valuable insight about surviving in today’s aggressive business marketplace. Whether you are starting, operating, or growing your business in the northwest Florida area, the Small Business Learning Center Library can help you find the information you need to be successful. Our business information services include access to our business library, comprehensive research and reference library offering extensive online and print business tools and resources. Reference services include help and direction in collecting industry or market statistics needed for a business or marketing plan, researching specific market or industry trends and identifying competitors, suppliers or potential customers. The Leon County Research and Development Authority (LCRDA) TechGrant program was first launched in 2005 to demonstrate its commitment to supporting the entrepreneurial ecosystem in Leon County. Since 2005, 20 companies have benefitted from $362,000 in grants awarded for the commercialization of their technologies. Most of those companies are still flourishing in the local community today. In addition to a cash prize of up to $15,000, winners are awarded with scholarships to attend the Entrepreneurial Excellence Program and are granted exclusive access to the TechGrant Winners’ Circle, a quarterly gathering of past grant recipients that facilitates networking and collaboration. The LCRDA owns buildings in and manages Innovation Park, a research and development park, by an appointed Board of Governors. The Board is comprised of prominent academic, business, and community leaders who work together to facilitate the growth and development of research into high-tech businesses in Innovation Park. 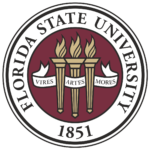 Its mission is to work in affiliation with Florida State University, Florida A&M University, and Tallahassee Community College to promote scientific research and development activities, and foster economic development and broaden the economic base of Leon County, Florida. 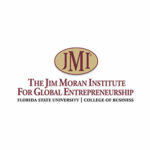 The Jim Moran Institute facilitates very structured, strategic and confidential groups for local business owners. Exclusive to presidents and owners of established businesses, the groups provide an avenue for sharing insights about challenging situations, topical issues, and solutions to problems with their peers. Each group meets monthly and consists of like-type, non-competing businesses that adhere to a confidentiality policy. Participants complete an application and once approved, are placed in a group based on availability. New groups are formed year round based on demand. TallahasseeBusinessResources.com is a business resource listing website covering the Big Bend area focusing on private resources for start-up and small businesses.Tallahassee Business Resources goal is to help identify business providers by describing the clients best served by each resource – without requiring that you leave the site. 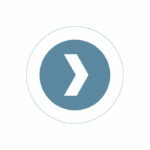 These listings are free for both users and resource listings, and intended as a community resource. TallahasseeBusinessResources.com was originally started as a Knight Creative Communities Institute (KCCI) project. 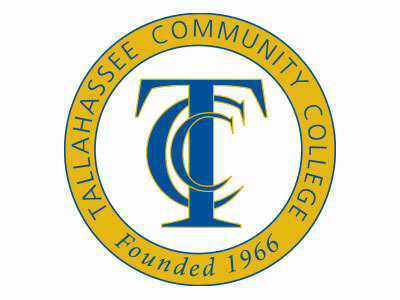 The Tallahassee Community College’s Center for Innovation is located at 300 West Pensacola Street, in the heart of Florida’s capital city, making it well-suited to host a wide assortment of events and programs. The meeting facilities, training rooms, and business suites are sure to meet the needs of any organization. For organizations who wish to conduct business in downtown Tallahassee, leasing a business suite at our Capitol Center is the smart choice. Each suite includes: Computer, Phone, Covered Parking, Access to Receptionist, and Access to Conference Facilities (including video-conferencing capability). Pricing options are available for hourly, daily, and one to twelve month leases. The TCC Capitol Center offers a variety of venues and customized setups for events. Our facilities are ideal for seminars, training, and banquets. Additionally, our professional staff is available to assist with planning needs. The Center is also home to the downtown studios of WTXL-ABC 27, New Horizons Computer learning Center, the Institute for Nonprofit Innovation and Excellence (INIE), and TCC’s own Starbucks. The program was designed with for-profit and non-profit businesses in mind and created to be a world-class learning experience that accommodates the busy schedule of small business owners. It is ideal for CEOs, entrepreneurs, business owners, and presidents of small businesses. Graduates emerge as stronger leaders, ready to capitalize on business opportunities, implement best practice management, and turn challenges into strategic advantage. Presented over five months, each session takes place once a month, for four hours. Twenty-five, non-competing, applicants are accepted into each session of program. © 2019 Aero, All Rights Reserved.